Always in a giving mood, AnyMeeting helped out the American Red Cross this week by participating in its annual March blood drive. 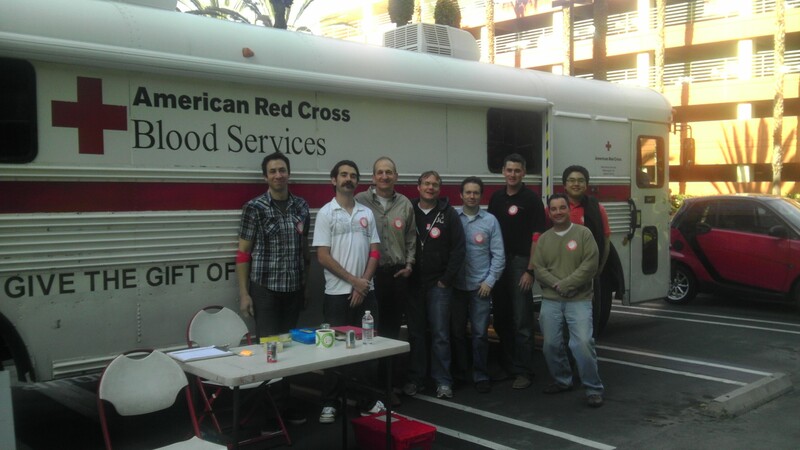 Eight members of the AnyMeeting staff proudly donated their blood to help the Red Cross in their efforts to increase the supply of available blood. Donated blood is always in need and AnyMeeting was happy to participate and help raise awareness of a very worthy cause. Those participating in the blood drive also received vouchers for tickets to a LA Galaxy game, discounted tickets to a LA Kings game and a chance to win Disneyland annual passes.